One of the things customers ask me about is the ability to profile website visitors. Unfortunately, most visitors to websites are anonymous, so you don’t know if they are young, old, rich, poor, etc. If you are lucky enough to have authentication or a login on your website, you may have some of this information, but for most of my clients the “known” percentage is relatively low. In this post, I’ll share some things you can do to increase your visitor profiling by using advertising campaigns and other tools. If you have been using Adobe Analytics (or Google Analytics) for any length of time, you are probably already capturing campaign tracking codes when visitors reach your website. In Adobe Analytics, this is done via the s.campaigns variable. 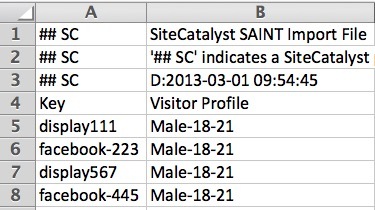 While this data is valuable to see which campaign codes are working to get you conversions, it can also be used to profile your visitors if used strategically. 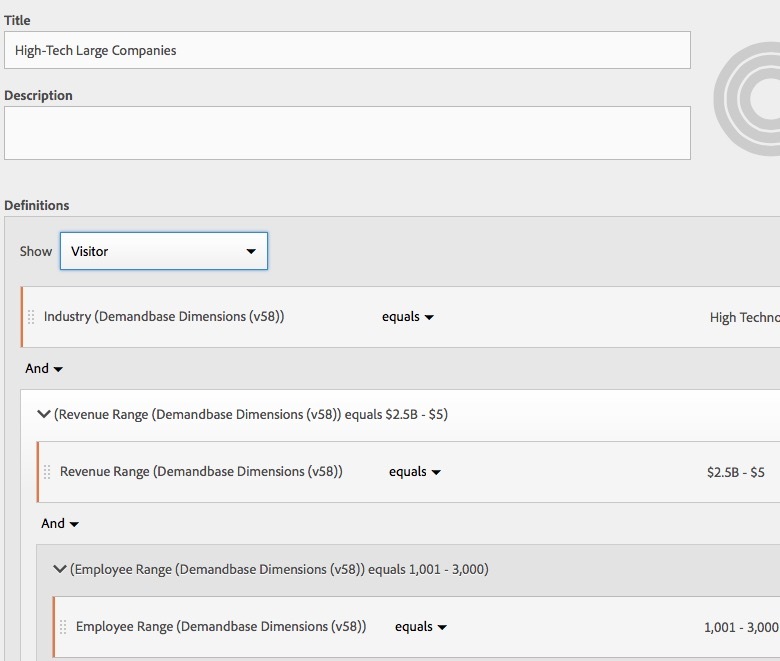 Once you have classified the codes by demographic, you can use segmentation to isolate Visits (and Visitors) who came from these codes. While this may not be a large population, you can segment the data and treat it as a sample size to see how that demographic is performing vs. your general population or other demographics. Keep in mind that you may get some false positives since ad targeting isn’t an exact science, but if your advertising is well targeted, you should have a decent amount of confidence in your segment. In fact, there may be cases in which the sole purpose of spending a small amount on advertising is to test out how a different target demographic uses your website. As you can see, whether you are a B2C or B2B company, there are some quick wins you can achieve by adding meta-data to campaign tracking codes and using other technologies to identify anonymous visitors. These short-term solutions can be augmented by more robust tools offered by Adobe, Google and others, but these ideas may be a way to get started and build a case for more advanced visitor profiling. If you have other techniques you have used, feel free to leave a comment here.